Hi lovelies. Today, I wanted to do something a little different, as I was watching the Gogglebox Celebrity special last night, which was for Stand Up To Cancer and it really got me thinking. While the show is very funny, it also showed some clips about Children and young people with Cancer and it really was truly heartbreaking. It's true that the disease affects so many people and their families and the scary fact is, I'm fairly sure almost everyone reading has either known someone that has died of Cancer, or knows someone that's battled it, or is going through it right now and despite desperately wanting to help, none of us can afford to give tons of money to the charity. The fact is, it's getting near to Christmas and it's an expensive time of year, and sometimes, if we're honest, parting with just £20 for a charity can seem like a bit of a pinch. Or perhaps you're in school and live only off a part time job, or pocket money from your parents. So, while pondering what I could do to help, I was scrolling through bloglovin' and an idea hit me. I have over 2000 people following my blog and if even half of those people donated a small amount, this could actually really add up to make a substantial donation to such a worthy cause. 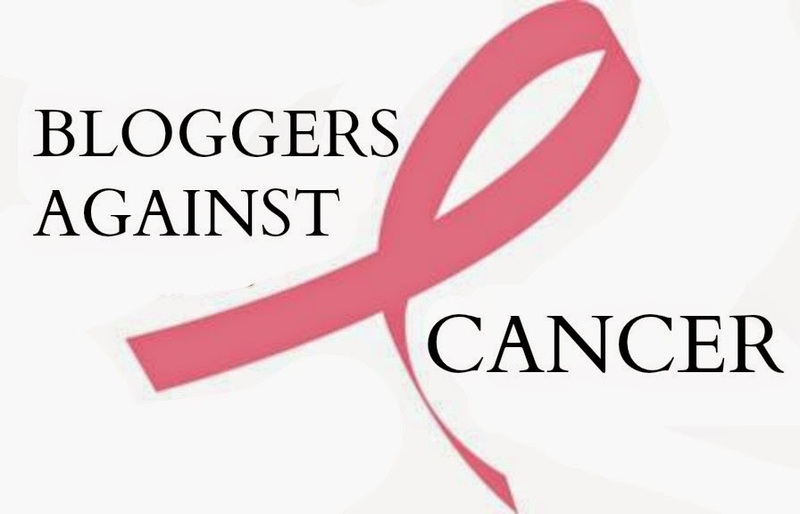 With this in mind, today official marks the start of the #BloggersAgainstCancer Campaign. I have set up a Just Giving page, which you can visit and donate on here. Or Text 'BLAC66 £2' to 70070 to donate £2. You can donate more by texting a different amount, i.e. 'BLAC66 £5'. I am asking that each and every one of you donate just £2 (this is the minimum amount you can donate on Just Giving, but of course, larger donations are hugely welcomed and appreciated), because bloggers and vloggers are a hugely powerful community and I know that if we all work together to share this campaign by tweeting with the hashtag, using the image on our blogs and sharing on social media, we as a community can make a huge difference. I have opened the page to accept donations until Christmas Day, so let's all work together because we can make a difference. When we all stand together and each do something small, it can and will become something huge.